Apollo can also help you with commercial building projects. We have the manufacturing capabilities and experience to ensure your projects are constructed safely, on time and on budget, and adhere to all Australian and state codes and standards. Our products are made from the highest quality materials and are engineered to suit all Australian terrain category regions from W28(N1) to Cyclonic (N5 & C3). Building commercial projects with Apollo means we will take an innovative approach, with each key structural element calculated to guarantee the integrity of your project is sustained. A dedicated project manager will be assigned to your build, and all of our workers are experienced. 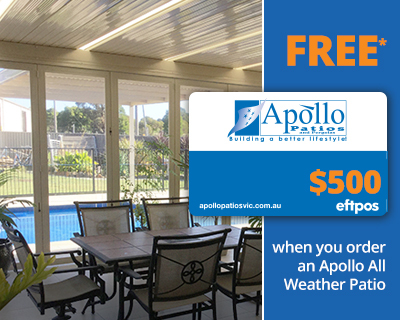 Coupled with our guaranteed products and experience as one of the largest outdoor construction companies in Australia, Apollo are the right choice for your commercial projects.